Our 2018 Annual Report is now published. We are grateful to Irwin Mitchell Private Wealth for sponsoring the printing of our report this year. Hard copies of the report will be available on request, shortly. They will also be handed our at our AGM on Thursday 27th September 2018 in the Wicker Room, Park House, North Street, Horsham, RH12 1RN. 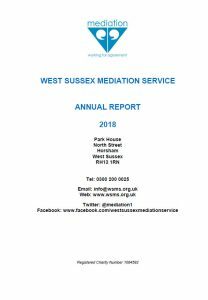 Click on image below to view the 2018 report.